All praise is for Allah, the very merciful and most loving. May His blessings and peace be on His beloved messenger, our master and guide Prophet Mohammed, his family and companions. May Allah reward His friends, the awliya, abundantly for facilitating the path (tareeq) for feebles, like us. Ameen. This concise document is a prelimnary roadmap meant for those individuals who have recognized the importance of Tasawwuf and want it to be a part of their life. To implement Tasawwuf in one’s life it is essential to associate with ‘a’ Sahykh who fulfills the criteria and has qualities required for it. It should be very clear from the start that the purpose of associating with a Shaykh is to reform and improve one’s actions (‘amal) and morals (ikhlaq). It is not an ordinary ritualistic relationship. One should have firm conviction and trust in the Shaykh that he is the best person to make the correct diagnosis of my spiritual ailments and considerately prescribe the best treatment for my circumstances. The purpose of this realtionship should never be fulfillment of any worldly concerns. For example, increase (barakah) in trade, acquiring employment, payment of loans, recovery from illness, etc. First and foremost make a realistic and stable time table for your daily activities. Working on such a scheduled routine has lot of blessings (barakah). By it a lot of work can be done in short duration. And also by its barakah difficult task become easy. 1. Try your best to abstain from all sins, especially those of eyes, tongue and ears/hearing. 2. Refrain from useless (fazool) and petty (laya’ni) activities. 3. Read from Hakim al-Umma Mawlana Ashraf Ali Thanwi (may Allah have mercy on him)’s discourses (mawaiz) or instructive utterances (malfuzat) daily as per your convenience. Even if its one page daily. Here the individual acknowleges all his past sins, mistakes & shortcomings and repents. He leaves these transgressions all together, feels ashamed of disobeying his Lord and makes a solemn determination of not committing them ever again. In here he takes account of his life in details. If he has missed any salah, fasts, zakah or hajj, he starts remaking them. If he has financial dues pending, loans, material or money he was not legally entitled to recieve, he repays them. Or acknowleges his mistake and ask forgiveness from the concerned authority. If he had hurt others by his speech or actions he ask their forgiveness. This repentance is very, very essential to gain Allah pleasure and acceptance. If it is not completed thoroughly all other future efforts are wasted. One needs the determination for this repentance. It requires having the resolution to bear all the difficulties (physical or financial) or worldly loss or public disregard that may come in doing so. If he does not have this determination it is evident that he is not looking for Allah swt’s pleasure. Hence, he is not a genuine Seeker. It is imperative to have thorough knowledge of fiqh for everyday activities. Hakim al-Umma’s book ‘Bahshiti Zewar/Heavenly Ornaments‘ is a fundamental text for Hanafi fiqh. It is essential for a salik to keep all his action according to the rules stated in it. Also, reading of the Holy Quran with correct Arabic pronunciation is essential. Tajweed has to be learned from a teacher properly. It is essential to rectify surah e fatiha and the last ten surah of the Holy Quran as soon as possible for the correct and valid recitation in salah. Furthermore, if a new situations arises where permissibility is unclear it is essential to ask a qualified and God-fearing mufti. The Path to Perfection by Shaykh Masihullah Khan (may Allah have mercy on him) is the main text to be read. It is a textbook of Tasawwuf. It provides a very understandable explanation of the Ashrafiya tareeqat in detail..
For Urdu-literate Imam Ghazali(may Allah have mercy on him)’s ‘Tabligh e deen’, ‘Basair ul Hakimal-Umma’ and ‘Mamulat e yomiya’ are also recommended reading. 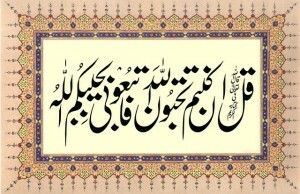 Recite from the Holy Quran daily. Ideally one part (juz) is recommended. However, in special conditions this may be decreased to one fourth part. All of them 100 time each. Preferentially they should be recited after fajr or (if not possible then) after ‘isha. Otherwise, recite them whenever you get a chance. Reading attentively a section from Munajat e maqbool (Accepted whispers) daily. This is a compilation of Prophetic supplications. This is just like a physician-patient relationship. The murid tells/writes about his spiritual ailments seeking remedy. He has to be explicit and candid about his condition. Hiding vital information leads to nowhere and eventually mureed himself is the looser. The Sheikh reviews mureed’s condition, taking into account his spiritual ailments/deficiencies, physical and working requirements and environment. He then prescribes a treatment plan. There may be multiple components of this plan. The mureed has to follow this plan unconditionally. If he faces difficulties in doing so he has to inform the Sheikh. And then follow the next advice. The doctor may be the best in the whole world. His diagnosis may be 100% accurate. The treatment prescribed and made available may be the finest. how can a cure be imagined, less achieved? A sincere mureed’s duty is to inform the Sheikh of his present condition. That is, he reviews his daily activities, dealings and intentional thoughts. He analyzes them. He looks for any blame worthy traits that may be active in his intentions and actions or any praise worthy states that are deficient. He describes the actual case scenarios and asks assistance from Shaykh for diagnosis and treatment. He follows the recommendations of Shaykh and reports back. Adjustment may be made, treatment fined tuned and tailored accordingly. This process continues for a considerable period of time till a healthy spiritual state is reached, that is, achievement of a sustainable mutual relationship with Allah (nisbat-e-batini). As every patient’s condition is different so is the treatment plan. It is this individual attention and instruction which gives Tasawwuf a unique effectiveness in bringing about a permanent, durable and wholesome change for a complete Islamic life in its fullest sense. Written correspondence (islahi makatebat) with the Sheikh for self-improvement is a corner stone in Ashrafi path(tareeq). It may be in the form of letters or emails. They should be written at regular intervals (usually once a month).They should include details regarding ones spiritual condition as outlined above. This is the essential connection with Sheikh (rabitah-e-Sheikh). Without it taking ba’iyet and traversing the sulook is just a dream. Contact via telephone is fine in emergency situations. However, practically it is very difficult for a novice aspirant to discuss his spiritual condition over phone. The thing to acquire from the Shaykh is the self-annihilation (fanayiat). People consider taking wird, azkar, ashagals and litanies etc. from him, all of which can be acquired from books. The essential thing to take from him is this fanayiat. That is total effacement of self suggestions, opinions, planning, expectations and complete submission to the commands of Shariah. This is acquired ONLY by accompanying the Sheikh for considerable duration of time. To observe him practicing Shariah in different settings. To learn from his attitude & behavior. Where is he firm and when lenient? To correct yourself by his upright way of practice and implementing Shariah. To happily bear his chastisement, in hope for self-reformation. To be ready for his trials and testing, in order to check your sincerity. To submit to all of his instructions wholeheartedly. To do each and every major action in your life (especially related to your islah) with his consultation, approval and prayers (dua). Finally, to copy, imitate and absorb his all esoteric & exoteric states enthusiastically. If this suhba is not readily available, then it is essential to correspond with him via letters, mail, phone etc. as described above. One has to make some effort to achieve any thing significant in his life, however mundane it may be. It is foolish to assume that in applying religion into one’s life no effort or struggle will be required. It is corect that eventually this effort and struggle will become easy and/or enjoyable for those traversing the path (sulook). But initially one has to make this effort and struggle and be prepared for a tough fight with his/her lower self (nafs). The reality of spiritual struggle (mujahada) consists in the habitual practice of opposing the lower self (nafs). In other words, it is to check and control the physical, pecuniary, egotistical, and mundane desires, delights and preferences of the lower self in persuit of the obedience and the good pleasure of Allah Most High. Hardship persists in performance of good deeds. It is because these actions are against the desires of the lower self (nafs). The lower self essentially tries to fight them off. This may be a minor or a major battle. Hence, it remains essential to act against the desires of the lower self by doing spiritual struggle (mujahida) life long. This is true both for the novice (mubtadi) and the one who has arrived (muntahi). Both of them have to face the opposition of the lower self some time or another, either in form of laziness in performance of good deeds or indulgence in a sin. Novice gets into it a lot and the muntahi a little. In order to prevail in this battle it is essential for both of them to engage in spiritual struggle (mujahida). “Do you observe how a child grows? If he is measured everyday, it will not be perceptible and the day to day growth would not be noticed. In reality, however, he keeps growing everyday. Soon he reaches puberty. He grows a beard and turns into a full-grown man. In the same way, if one follows this path (tariq) with sincerity and steadfastness and does not become careless, he will progress gradually and reach spiritual puberty (attain Love of Allah; t’aluq m’aAllah). On this path(tareeq) traveling itself is the goal. Whatever our physical or emotional condition may be but if we are steadfast in our actions as per Shariah there is no place of despair. InshaAllah, we will be suceed. Hazrat Mawlana (Rasheed Ahmad) Ghangohi ra used to say that after all the labor and toil of life (of sulook) one comes to the conclusion that he did not achieve any thing then in reality he has attained everything. Even if the stations (of sulook) had been traversed, the pleasure experienced during them is nothing as compared to the bliss of the belief that I have not even started the journey as yet! This is the pleasure of humility, feeling destitute and unworthy: the station (maqaam) of absolute slavehood (abdiyet). The highest station for any human being! Jazaak Allah for this nice information. Its very benenfical to read that How & Why to make a relationship between Shaykh-Mureed with our akabir’s Murid. This Website has been very Helpful to me Alhamdulillah , Jazakallahu khair.. Myself looking for Books Like Maaruf e sufiya And Momin Aurat if you can provide PDF format, cause have checked at book depots they are not available. Also hope they are correct title of the books.